Detecting community structure discloses tremendous information about complex networks and unlock promising applied perspectives. Accordingly, a numerous number of community detection methods have been proposed in the last two decades with many rewarding discoveries. Notwithstanding, it is still very challenging to determine a suitable method in order to get more insights into the mesoscopic structure of a network given an expected quality, especially on large scale networks. Many recent efforts have also been devoted to investigating various qualities of community structure associated with detection methods, but the answer to this question is still very far from being straightforward. In this paper, we propose a novel approach to estimate the similarity between community detection methods using the size density distributions of communities that they detect. 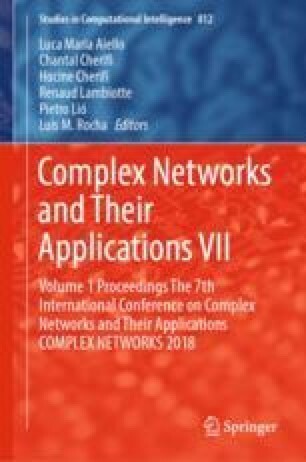 We verify our solution on a very large corpus of networks consisting in more than a hundred networks of five different categories and deliver pairwise similarities of 16 state-of-the-art and well-known methods. Interestingly, our result shows that there is a very clear distinction between the partitioning strategies of different community detection methods. This distinction plays an important role in assisting network analysts to identify their rule-of-thumb solutions.